Israel has responded furiously to a UN security council resolution condemning Israeli settlements in the occupied territories, recalling two of its ambassadors to countries that voted for the motion and threatening to cut aid. “I have already instructed to stop about 30m shekels (£6.3m) in funding to five UN bodies that are especially hostile to Israel ... and there is more to come,” he said, without giving any further details. 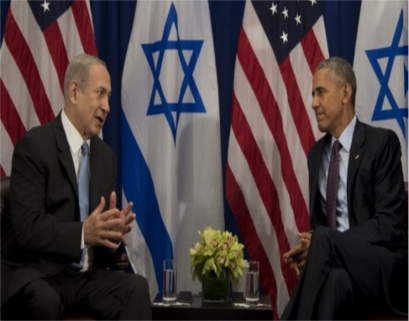 Amid emerging criticism of the handling of the vote by Netanyahu, whose manoeuvres were seen as an attempt to sideline Obama and his administration, Israel ordered action against a number of countries. The response included the recall of the Israeli ambassadors to New Zealand and Senegal, who voted for the resolution, the cancellation of a planned visit by the Senegalese foreign minister to Israel in three weeks’ time, and the cancellation of all aid programmes to Senegal. New Zealand’s foreign minister, Murray McCully, said his country’s vote should have been no surprise to Israel. “We have been very open about our view that the [security council] should be doing more to support the Middle East peace process and the position we adopted today is totally in line with our long-established policy on the Palestinian question,” he said. The UK, France, Russia and China also voted in favour of the resolution, which described Israeli settlement building as a “flagrant violation” of international law. The vote has sharply underlined the extent of Israel’s international isolation under Netanyahu, and in particular the hollowness of Netanyahu’s boast at the UN general assembly in the autumn over Israel’s purported diplomatic advances at the UN, not least among African members. While Israel may expect a much easier ride after the inauguration of Donald Trump, support for the motion from countries such as the UK and France demonstrates the deep frustration in Europe with the policies of Netanyahu’s rightwing coalition over settlements and the moribund peace process. For its part, the Obama administration made clear that the US decision to abstain was in direct response to choices made by Netanyahu on settlements. The resolution also serves as a warning to the incoming Trump administration over its policies after the selection by Trump of a far-right pro-settler, David Friedman, to be ambassador to Israel. While the US and EU have worked closely together in coordinating foreign policy on the Israel-Palestine question, there has been growing support among European governments for tougher steps against Israel, which has already resulted in a directive on the labelling of settlement products. The strength of the language in the resolution reiterating the illegality of Jewish settlements built on land intended for a Palestinian state, occupied by Israel in 1967, is likely to have an impact on multinational companies operating in the occupied territories or working with Israeli enterprises with links to the occupied territories. Although the resolution is not binding in legal terms, it will have other practical effects, not least in the impact it may have on the Palestinian complaint to the international criminal court, which includes Israeli settlements. The resolution also includes language calling for differential treatment of Israel within the pre-1967 borders, calling on states to “distinguish, in their relevant dealings, between the territory of the State of Israel and the territories occupied since 1967”, which could potentially pave the way for future sanctions. Leading pro-Israel Republicans also weighed in, including the House speaker, Paul Ryan, who denounced the US abstention as “absolutely shameful” and promised that “our unified Republican government will work to reverse the damage done by this administration, and rebuild our alliance with Israel”. In Israel, however, questions were being asked about Netanyahu’s handling of the vote. Writing in Haaretz, the columnist Chemi Shalev was particularly scathing about Netanyahu’s diplomatic failure. “Resolution 2334 shatters the [Israeli] government-induced illusion that the settlement project has been normalised, that it passed the point of no return, that it is now a fait accompli that will remain unchallenged,” he wrote. “In recent years, after President Obama desisted from efforts to advance the peace process, Netanyahu, his ministers and settler leaders had behaved as if the battle was over: Israel built and built, the White House objected and condemned, the facts on the ground were cemented in stone.